The Robertson Fire Protection District (RFPD) is mainly funded by local property taxes and revenue from a Fire Service Agreement with the City of Hazelwood. 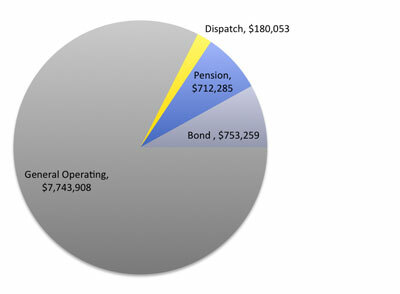 The majority of the District’s operating revenue is used to pay for firefighters and paramedics. When tax money is collected for the District the funding goes into these five separate funds. Money from these funds cannot be mixed. For example, debt service funds cannot be used to pay firefighters, and pension funds cannot be used to maintain fire trucks. Funding must be used for the purpose it was collected. Pays for day-to-day activities including salaries, benefits, fuel, maintenance, training, insurance and legal fees. 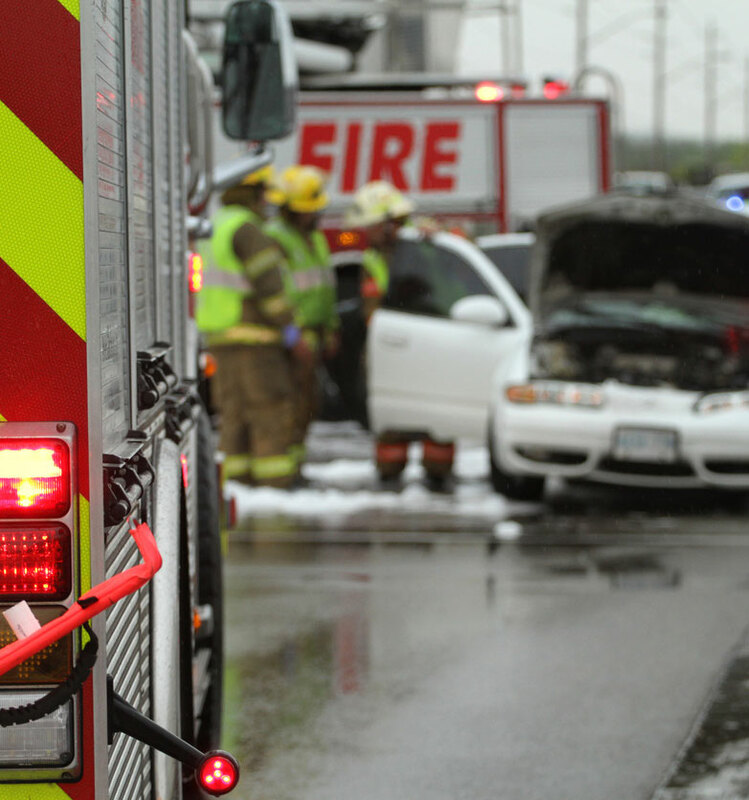 Provides funding for firefighter pension fund. The amount of revenue the District receives from local residents and businesses is based upon assessed valuations, which is a percentage of the actual market value of a property. The RFPD reserve fund is similar to a savings account. In years where there is available revenue on December 31 money is added to the fund balance. This funding is used to assist the District during economic slowdowns or in emergency situations. Because of sound financial planning, as of Feb. 28, 2018 the RFPD had $2,352,479 in its reserve fund. This would be enough funding to operate the District for a few months. If the City of Hazelwood does not make its 2018 payments to the District the reserve fund will be depleted by providing fund for operating the District. The City of Hazelwood began acquiring land throughout North County in the 1960s to increase tax revenue. As the City grew, city officials and residents agreed that the existing fire protection districts should continue providing emergency services to residents and businesses within the fire districts. In 1995 the City of Hazelwood entered into an official Fire Service Agreement with the Robertson Fire Protection District. In 2018, the City of Hazelwood is expected to collect around $19 million dollars from tax revenue generated from the land within the Robertson Fire Protection District and Florissant Valley Fire Protection District. The City pays around $5 million per year total to the Florissant Valley Fire Protection District and the Robertson Fire Protection Districts to provide fire, rescue, and EMS services to City residents and business. 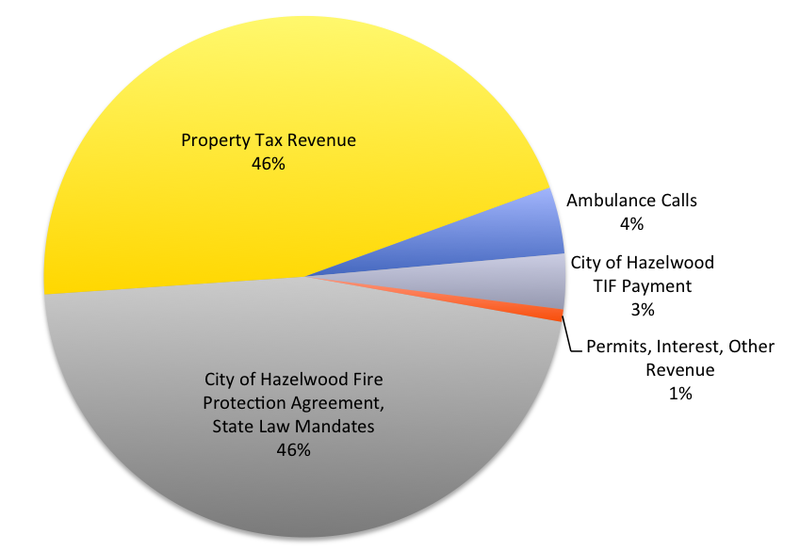 The City of Hazelwood utilizes property and sales tax revenue to pay the fire protection districts under the Fire Service Agreement contracts. As of June 19, 2018, the City had not made its required payment to the Robertson Fire Protection District. Over the years the City has not made its full payment or paid on time, but this is the first time it has withheld this dramatic amount of funding. The City is entitled to keep a 1-percent processing fee, but in years past has kept 1.5-percent for this fee, in its effort to build a good working relationship with the City, the District did not contest this. Today’s firefighters are trained and equipped to respond to countless fire, rescue, hazardous materials, medical and emergency situations. This was not necessarily the case in the 1990s and before. Since the Fire Service Agreement started 23-years ago the RFPD tax rate has risen from 99-cents to $2.51 through voter-approved increases to maintain quality emergency services, this is in line with many other area fire districts. The District has also needed additional funding to offset the loss in revenue from the corporate tax breaks given by the City to new local businesses and developments. In this time, the City of Hazelwood has increased its property tax rate from 31-cents to 99-cents. It has also added additional taxes such as a utility tax, two general sales taxes, a use tax, a fire sales tax and a hotel tax. The City passed a one-quarter-cent fire sales tax in 2013, and voters approved a county-wide half-cent public safety tax in 2017. The county-wide public safety tax, Prop P, is expected to generate $975,000 in 2018. The Hazelwood Police Department budget only increased by $310,403 in 2018. The City of Hazelwood continues to provide new businesses with tax incentives, meaning the businesses do not pay the appropriate level of property taxes for up to 25 years. So, even though emergency services are being provided to these areas the businesses are not paying their share of the taxes, placing a larger financial burden on residents and existing businesses. The Robertson Fire Protection District (RFPD) is located in one of the areas of Missouri with the highest level of this kind of tax incentive. Because of these incentives, the City of Hazelwood is not paying the Fire District’s full tax rate on almost all of the commercial and business property within the District. The Fire District’s Certified Public Accountant estimates that the Prior Tax Abatement Projects resulted in a financial loss exceeding $12,000,000 to the District. The District’s tax rate has risen since the agreement was made with the City in 1995. This has occurred because of an increase in the cost to provide emergency services and because of the tax incentives that are given to new businesses by the City of Hazelwood. 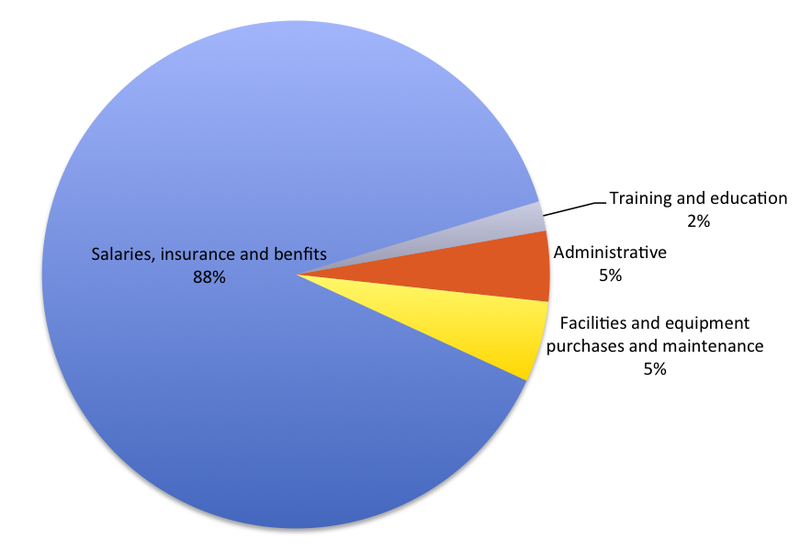 Many of these tax incentives are under the Missouri Department of Economic Development’s Chapter 353 program and Tax Increment Financing (TIFs). Additional information about some of the tax incentives the City of Hazelwood is offering to businesses is available here. According to the Missouri Department of Revenue, Local Tax Increment Financing (Local TIF) permits the use of a portion of local property and sales taxes to assist funding the redevelopment of certain designated areas within your community. Areas eligible for Local TIF must contain property classified as a “Blighted”, “Conservation” or an “Economic Development” area, or any combination thereof, as defined by Missouri Statutes. Learn more about TIFs on the Missouri Department of Revenue’s website here. 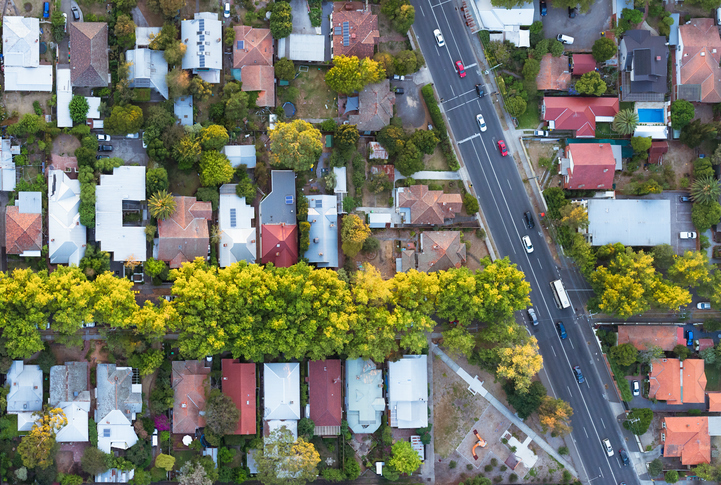 According to the Missouri Department of Economic Development, cities can access this incentive to help redevelop blighted areas by abating some or all of the property taxes for up to 25 years. Tax abatement is available for a period of 25 years, which begins to run when the Urban Redevelopment Corporation takes title to the property. During the first 10 years, the property is not subject to real property taxes except in the amount of real property taxes assessed on the land, exclusive of improvements, during the calendar year preceding the calendar year during which the Urban Redevelopment Corporation acquired title to the real property. 353.110.1, RSMo. If the property was tax exempt during such preceding calendar year, then the county assessor is required to assess the land, exclusive of improvements, immediately after the Urban Redevelopment Corporation takes title. During the next 15 years, the real property may be assessed up to 50% of its true value. 353.110.2, RSMo. This means that the city may approve a development plan, which provides full tax abatement for 25 years. Payments in lieu of taxes (PILOTS) may be imposed on the Urban Redevelopment Corporation by contract with the city. PILOTS are paid on an annual basis to replace all or part of the real estate taxes, which are abated. The PILOTS must be allocated to each taxing district according to their proportionate share of ad valorem property taxes. 353.110.4, RSMo.